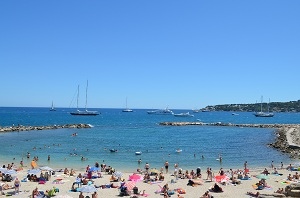 You will find 9 beaches in Cannes :9 sandy beaches. 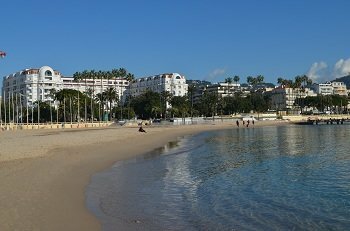 Located in the eastern part of the Alpes Maritimes Department, Cannes is one of the most fashionable places to visit on the French Riviera. 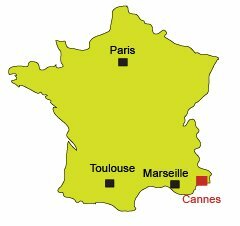 The French film festival begins in May and the world's celebrities invade Croisette Beach. 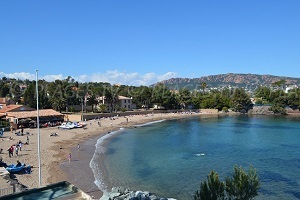 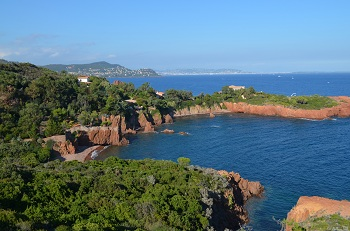 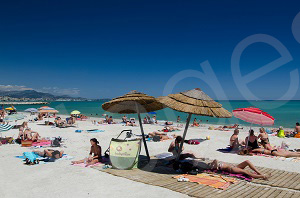 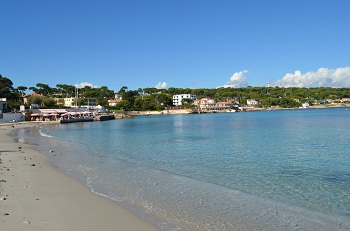 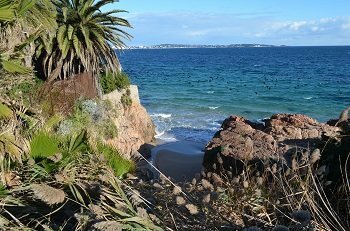 Beautiful sand beaches are mainly found in three zones (after the old harbor toward Mandelieu la Napoule, along the Croisette Beach and at the Croisette Point). 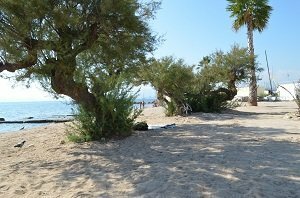 You won't find many public area here! 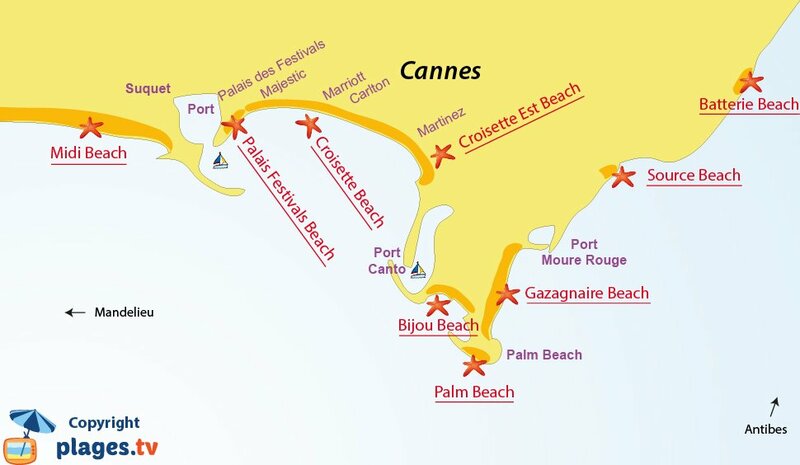 Croisette Beach is mostly reserved to private beaches and its grand hotels even if we can find a few free areas to lay out our towels. 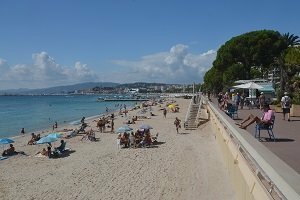 Cannes is not uniquely a beach destination! 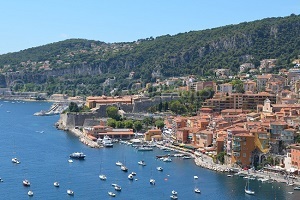 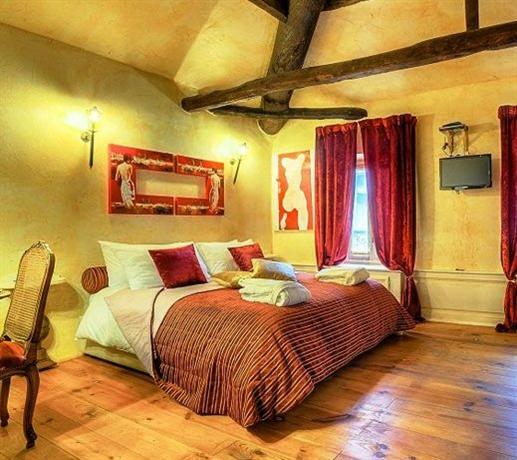 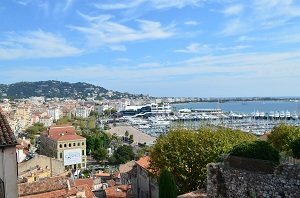 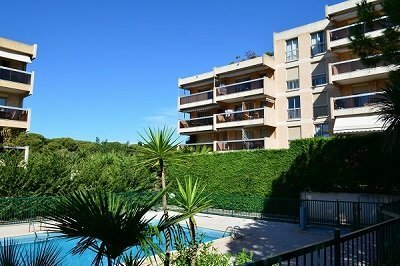 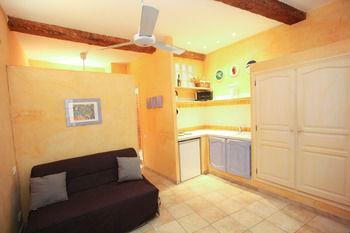 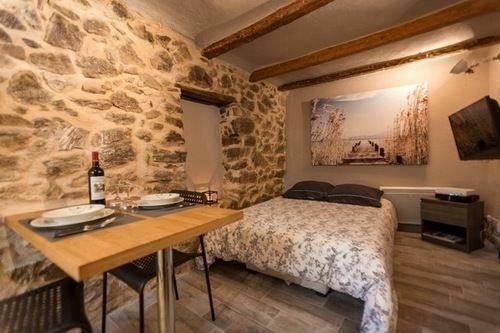 With the Suquet, we find the old city loaded with history and overall an uncommon view of the Bay of Cannes. 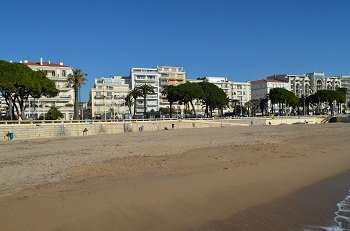 Around Croisette Beach, the boutiques and restaurants make up most of the surroundings and provide the summer's atmosphere. 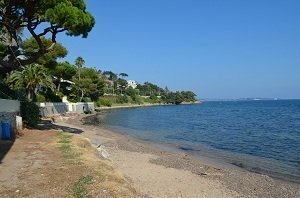 Across from Cannes, Lerins islands will welcome you in a preserved atmosphere.